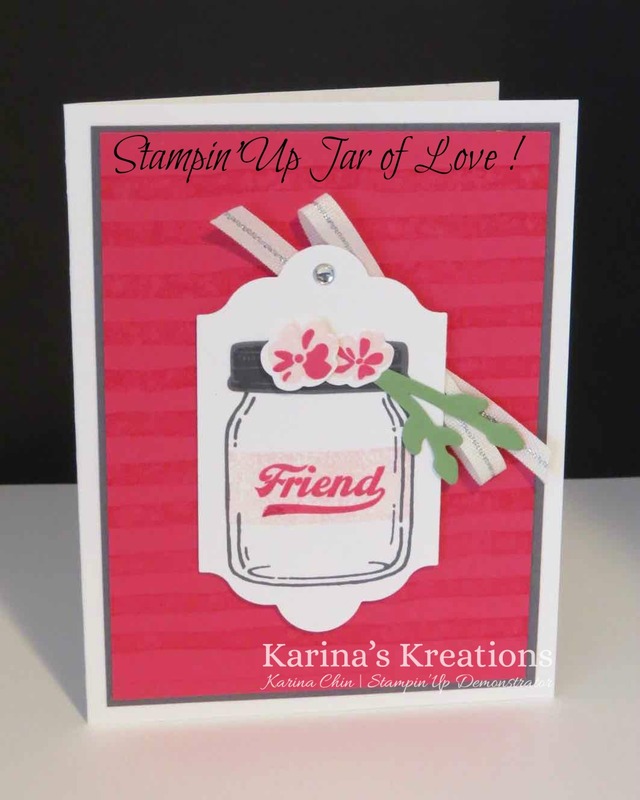 Karina's Kreations: Stampin'Up Jar of Love! I'm in Calgary toady for the Stampin'Up Onstge event. Last night we had a swap in our PJ's. 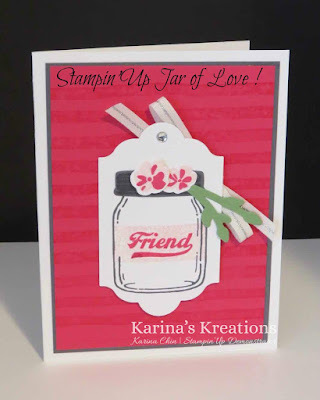 This was my swap made with the Jar of Love stamp set. You can get the stamp set and coordinating framelits in a bundle #142342. You save 10% when you buy the bundle.